Procedures for using x-ray test tools. Document preparing student for CT service classroom course. This ten day clinical biomed engineer-focused course held at the Institute of Advanced Imaging in Irvine, California provides theory of operation, and maintenance and repair for servicing Canon’s Aquilion VISION CT system. The course is a blend of hands-on lab exercises with accompanying in-depth lectures. 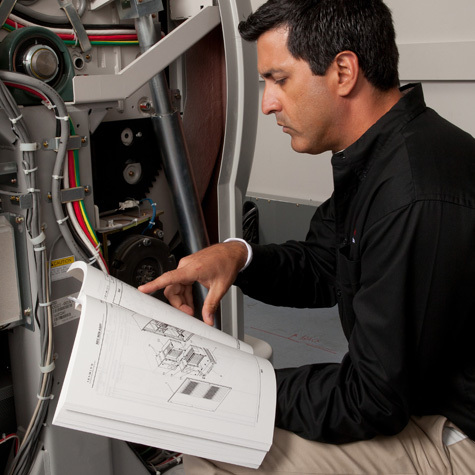 At the completion of this course, you will be proficient at performing the following: CT dynamic volume concepts, planned maintenance, diagnostics, repair and troubleshooting. This course includes tuition only. Students must bring notebook computers equipped with Pentium-class CPUs, 10GB of hard disk space, Windows 7, DVD/CD-ROM drive, a serial port (RS232), crossover serial cable, and Ethernet wired network connectivity. Laptops are not available to borrow or rent during class. Airfare, meals, and lodging are not included. This ten day clinical biomed engineer-focused course held at the Institute of Advanced Imaging in Irvine, California provides theory of operation, and maintenance and repair for servicing Canon’s Aquilion PRIME CT system. The course is a blend of hands-on lab exercises with accompanying in-depth lectures. At the completion of this course, you will be proficient at performing the following: service techniques, preventative maintenance, troubleshooting, and system adjustments on the system. Students must bring notebook computers equipped with Pentium-class CPUs, 10GB of hard disk space, Windows 7, DVD/CD-ROM drive, a serial port (RS232), crossover serial cable, and Ethernet wired network connectivity. Laptops are not available to borrow or rent during class. This course includes tuition only. Airfare, meals, and lodging are not included. This ten day clinical biomed engineer-focused course held at the Institute of Advanced Imaging in Irvine, CA provides theory of operation, maintenance and repair for Canon’s Aquilion PRIME CT system. The course blends hands-on lab exercises with in-depth lectures. At the completion of this course, you will be proficient at performing the following: service techniques, preventative maintenance, troubleshooting, and system adjustments. Students must bring notebook computers equipped with Pentium-class CPUs, 10GB of hard disk space, Windows 7, DVD/CD-ROM drive, a serial port (RS232), crossover serial cable, and Ethernet wired network connectivity. Laptops are not available to borrow or rent during class. Course pricing includes tuition only. Airfare, meals, and lodging are not included.